As the increasing paper consumption in Malaysia, Malaysia government is encouraging investment of paper making industry. Since leizhan is applied to provide paper machine for 34 years, many clients from Malaysia inquire about our paper machine recently. 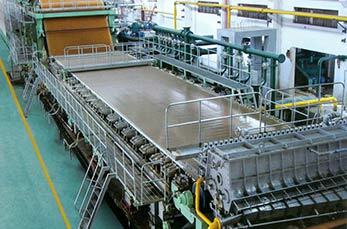 In 2012,a successful start-up of A4 paper production line in Malaysia took palce. The superior devices allowed the customer to maintian high quality of final product. Until now, the A4 paper machine manufacture line has been in use at the customer’s factory for a long time and created a good return for their investment. 1. The waste paper or commodity wood pulp is conveyed into the chain conveyor, then the raw materials is transported into the D type hydrapulper or drum pulper for pulping. 2. Next, Leizhan high density cleaner will be used for removing heavy impurities exist in paper pulp. 3. To improve the beating degree of the paper pulp, Leizhan conical refiner and double disc refiner can be used. 4. After a series of cleaning and screening, the waste paper become fine pulp and enter into headbox for paper making.